Any parent who has witnessed the love affair between baby and bottle knows security is a bottle's main appeal. For a child who is strongly attached to her bottle as a comfort object, a sudden withdrawal can be painful for everyone. 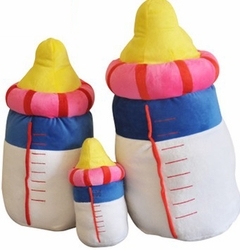 Replacing the bottle with a soothing object such as this Feeding Bottle Pillow Buddy can be most helpful. 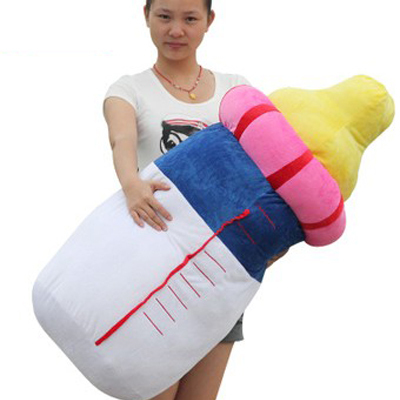 For instance, suggest that she hug the Feeding Bottle Pillow Bddy whenever she misses the bottle. It does give that warm and comforting effect on children and the young at heart. It is huggable and cuddly and will melt anyone's heart!